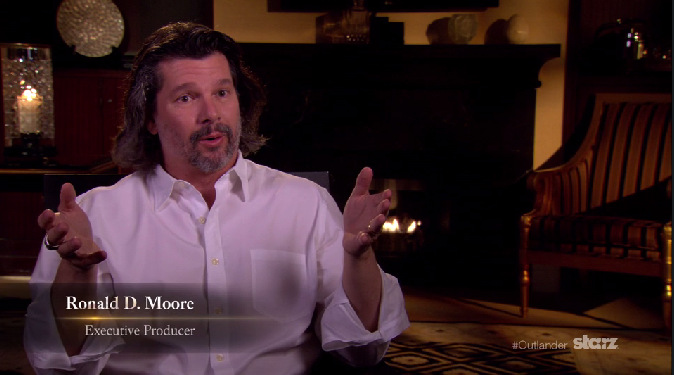 Ron Moore explains how episode 108, “Both Sides Now,” of Outlander came together. Ron discusses the conflict in Claire and her quick decision when she comes upon Craigh na Dun, why they brought in more Frank to this episode, what in the episode is a first, and keeping the fans guessing. This entry was posted in Production News, Production Videos, Ronald D. Moore and tagged Behind the Scenes Video, Both Sides Now, Ronald D. Moore by Sarah Ksiazek. Bookmark the permalink.